Hey There Delilah is a wonderful love song with a great melody, that’s actually not as difficult as it may seem at first. If you are the singing type, once you learn the guitar melody, you’ll find that singing along to the song is easy, as the melody is repetitive. 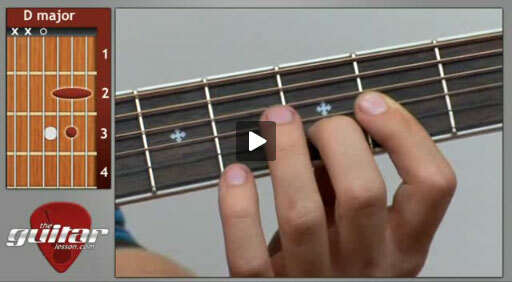 It involves finger picking, where you use your thumb to add a constant bass beat which sets the rhythm, fretting chords and picking double strings with your fingers. The guitar melody of the song is repetitive, as with most finger picking songs, so if you are at a stage where you are more-or-less comfortable with this technique and holding bar chords, you’ll find this song simple. Either way, practicing this song will give you a great finger picking exercise, while giving your fretting hand a workout as well thanks to the bar chords. All in all, this video guitar lesson is great for beginner-intermediate guitarists, as it improves your finger picking technique, your sense of rhythm, and chords changes. Make sure to download and have your guitar tabs handy when you practice this song, as its easy to get lost in the different parts otherwise. Hey There Delilah was released by the Plain White Ts in their 2005 album, All That We Needed. Interestingly enough, the song didn’t become a success until mid-2007, 2 years after its initial debut. The song was written by lead singer-guitarist Tom Higginson, and is a love song inspired by a girl that he did not actually date. Hey There Delilah became a chart topping hit across the world in the year 2007. The below is a list of its most important achievements, as there are too many to list fully. Sorry, but you've reached a premium content area. The download of the Hey There Delilah tablature file is only available to premium members. Sorry, the same goes for the backing track. To download the backing track to Hey There Delilah, please log in and revisit this page.